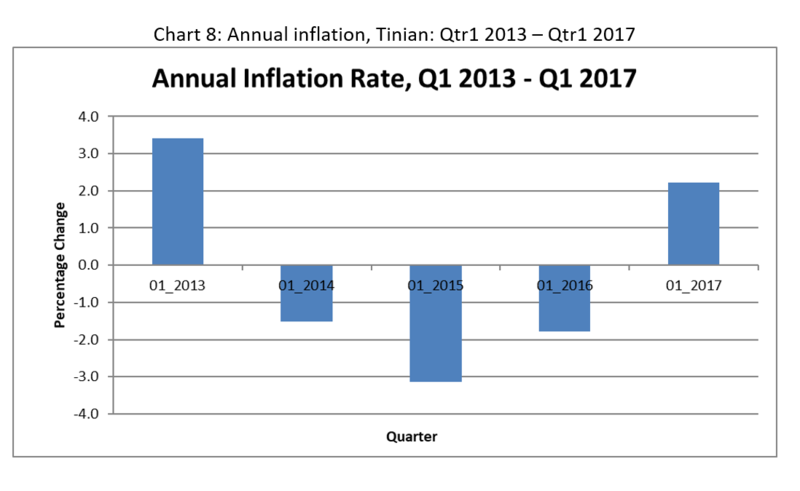 Table 4 below shows the quarterly inflation rate for each quarter since the 2ndquarter 2010, by group. As can be seen from this table the index increased by 0.7 percent for the 1st quarter 2017. 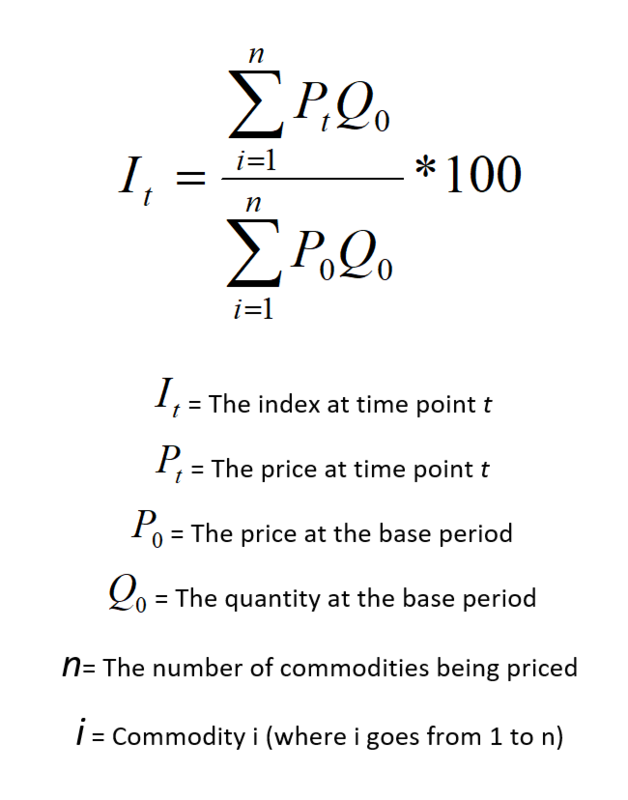 The trend for “All Items” can also be seen in Chart 6 on the following page, illustrating fluctuating change in the quarterly price change over the last 6 years. 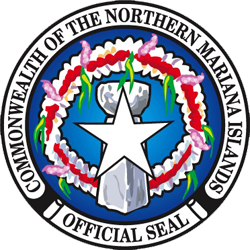 Chart 7 shows “Housing & Utilities” group had an increase of 2.6 percent followed closely by “Transportation” group (2.1 percent), while “Apparel” group showed the largest decrease of 5.0 percent. All other groups showed negligible changes. 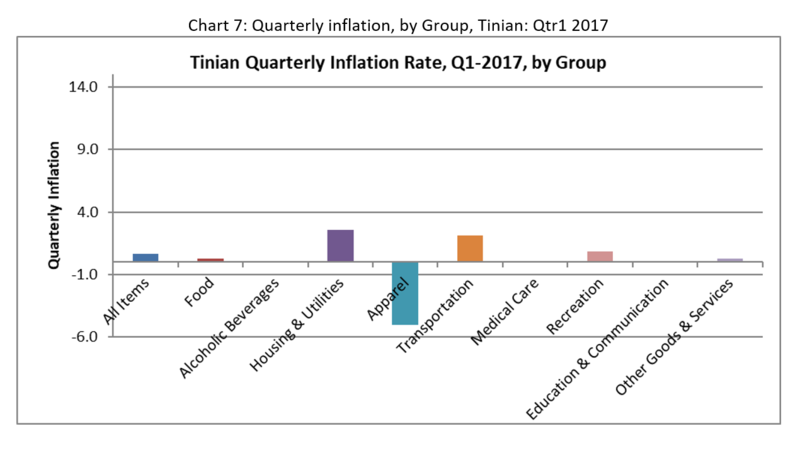 Table 5 below shows the annual inflation for Tinian for the last 5 years ending 1st quarter, 2017. 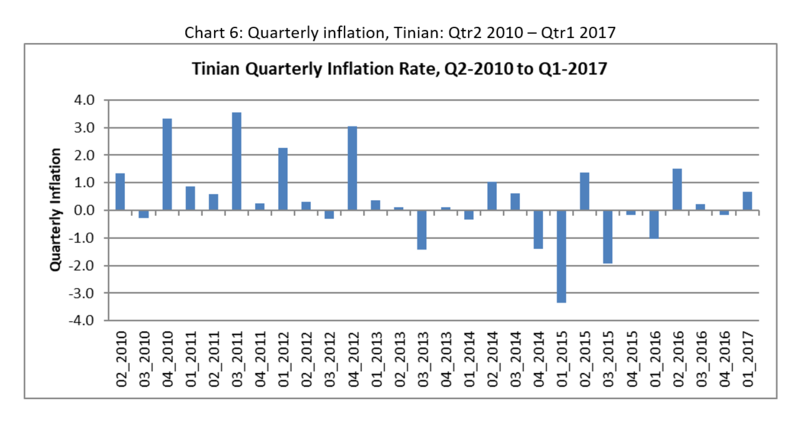 As can be seen from the table, there was an increase in the annual inflation for All Items in 1st quarter 2017. 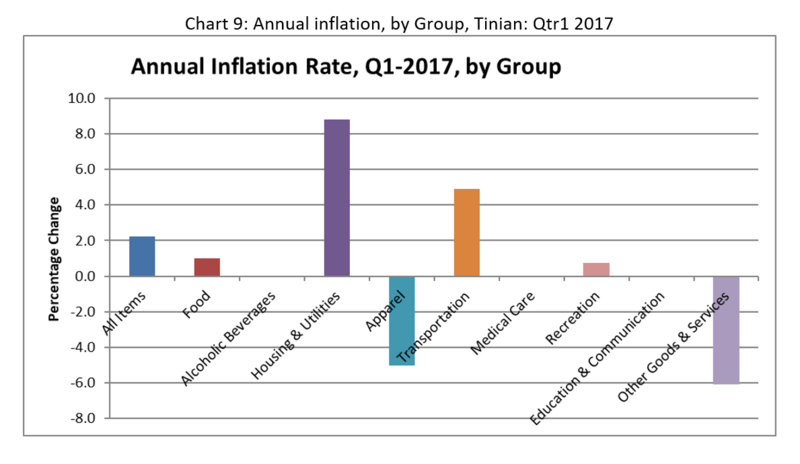 Chart 9 shows additional annual inflation analysis by group for the 1st quarter 2017. From this graph it can be seen that “Housing & Utilities” group had the highest annual increase of 8.8 percent over the last 12 months. 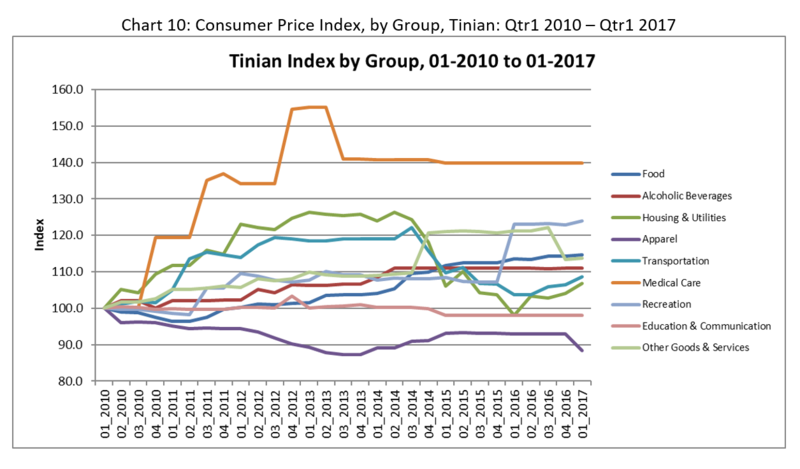 Table 6 and Chart 10 below show the change in the index since the CPI was established in 1st Quarter 2010. The analysis shows ”Medical Care” has had the most significant increase in this period with the index rising by about 40 percent during this period, while “Recreation” was next largest with an increase of 22 percent during this time.